Do you like mozzarella? Do you like also pesto? And how about both in the same recipe? I got this idea from a Jamie Oliver's show some time ago. It's a very simple appetizer but also very tasty. 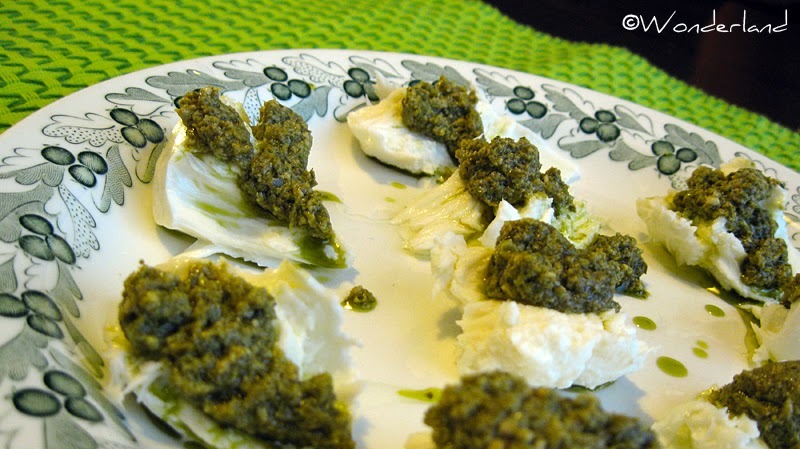 As you can clearly see the dish has only three ingredients: mozzarella, pesto and oil! That's it! Isn't that awesome? You can serve a wonderful antipasto to your guests with very little effort. In this recipe I used low fat mozzarella, but you can use also the normal one or even buffalo mozzarella for a more rich taste. HINT: This dish works well also as snack, especially if you use handy small mozzarella balls. 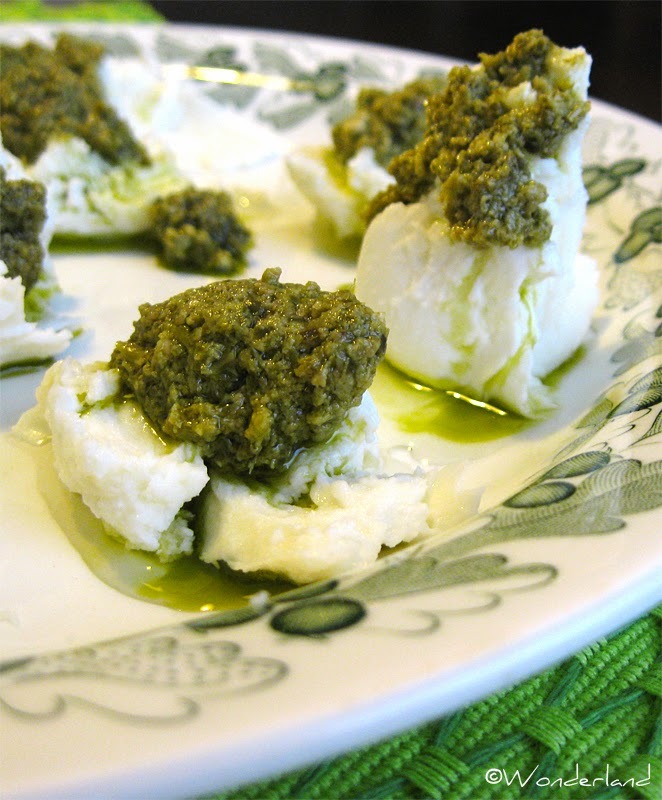 Place a teaspoon of pesto on top of each mozzarella bite and drizzle with oil. If you want, add also some pine nuts on top.